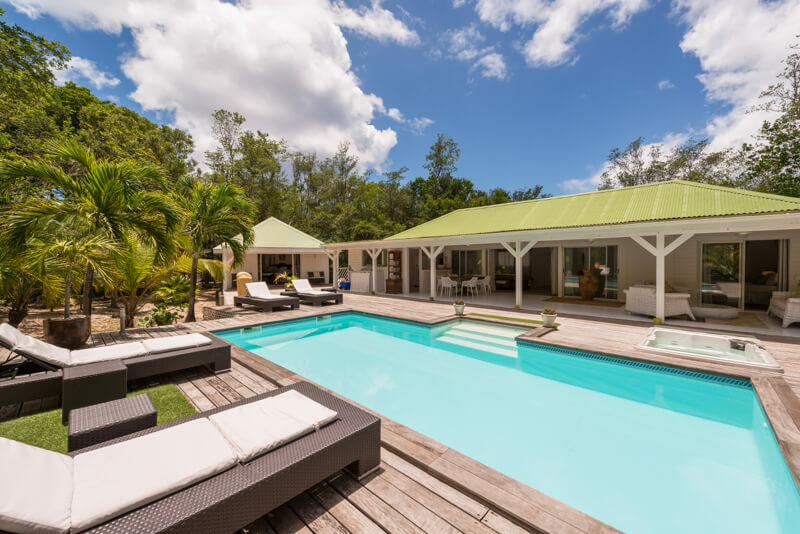 Villa Monchal is a perfect couple’s hideaway located in the gated community of Terres Basses and is only a 1 minute’s walk to the beautiful Plum Bay beach. 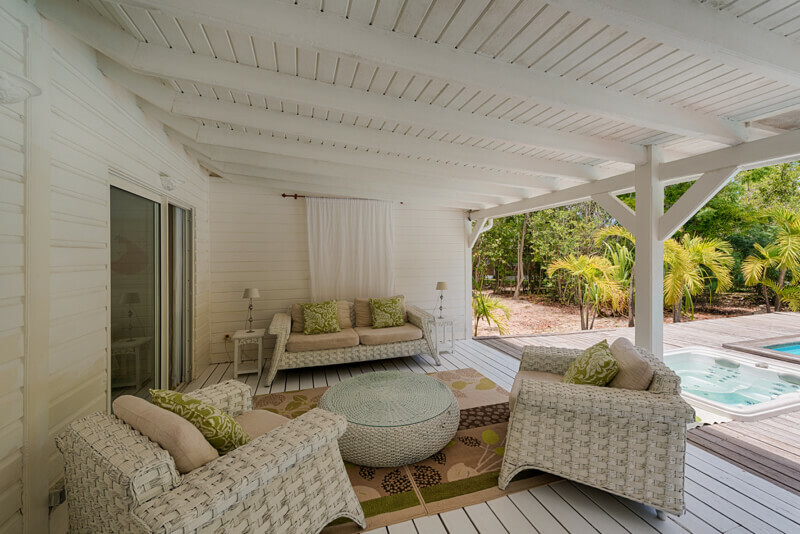 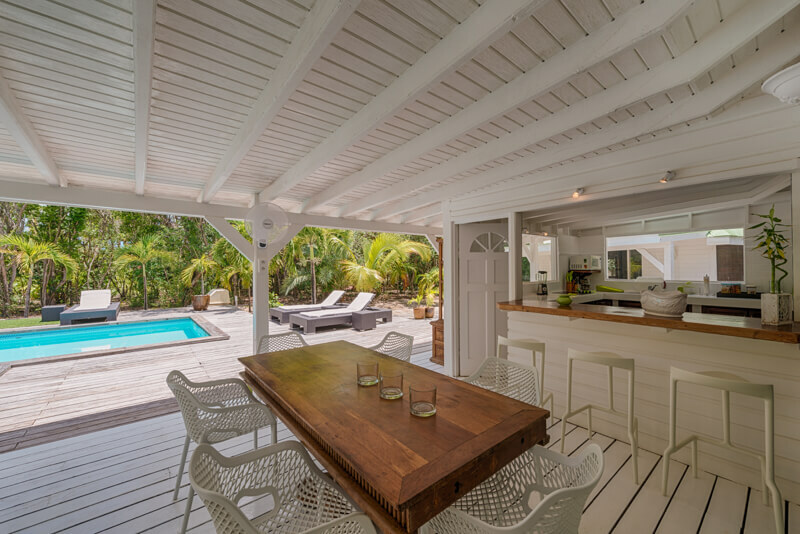 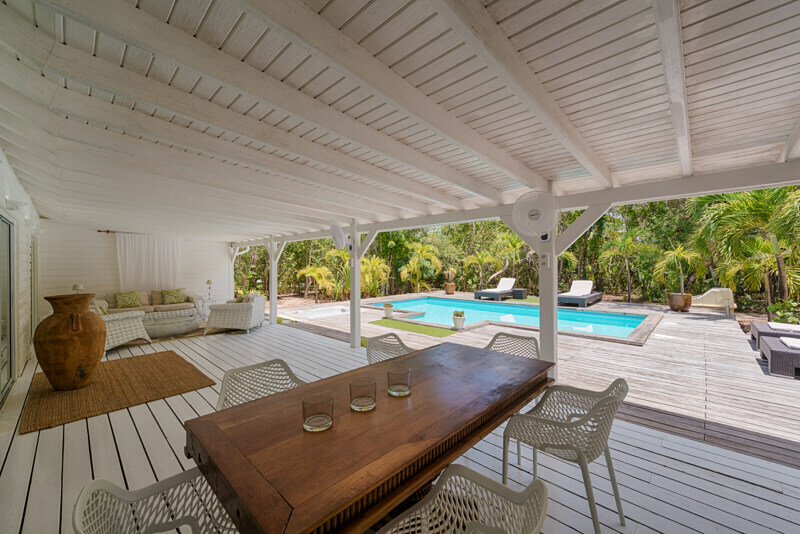 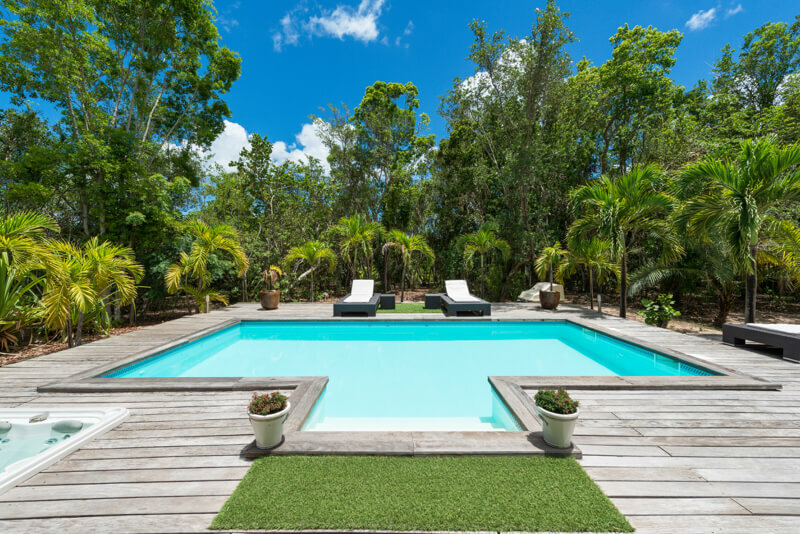 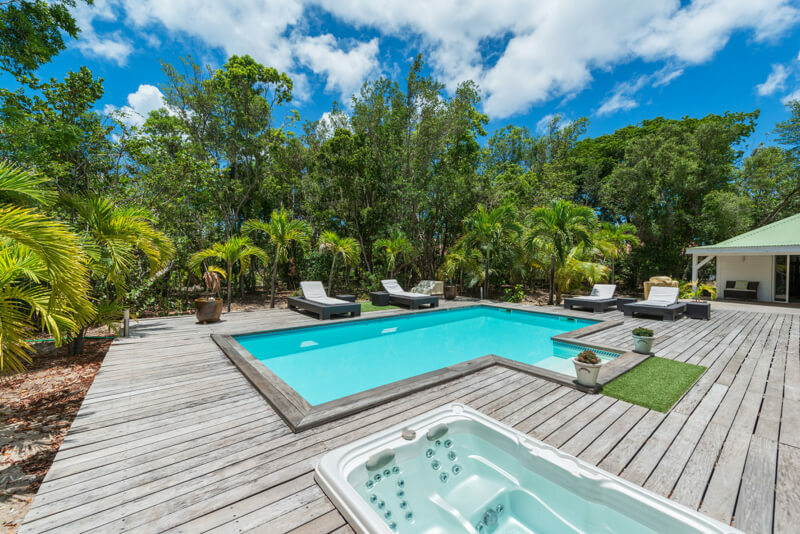 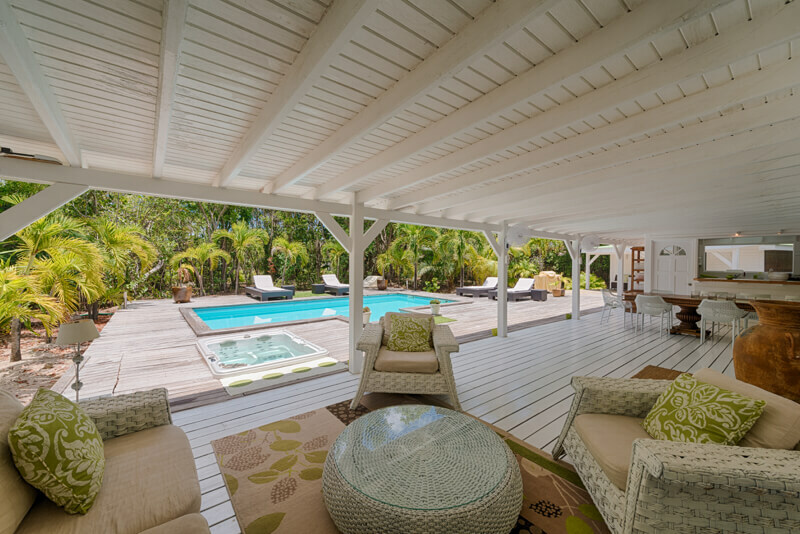 This newly renovated and tastefully decorated cottage style villa has a very private and secluded feel because of the lush tropical gardens surrounding the whole property. 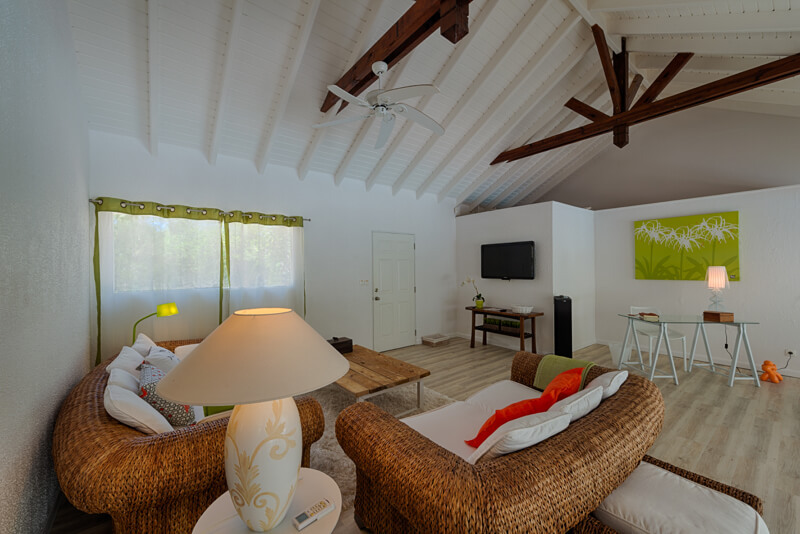 Inside the fully air-conditioned villa you will find the cozy living room with modern amenities, a fully equipped kitchen, a king size bedroom (master) with en-suite bathroom, a study with a full size bed, a 2nd full bathroom and the fully equipped kitchen with bar area opening up to the covered terrace. 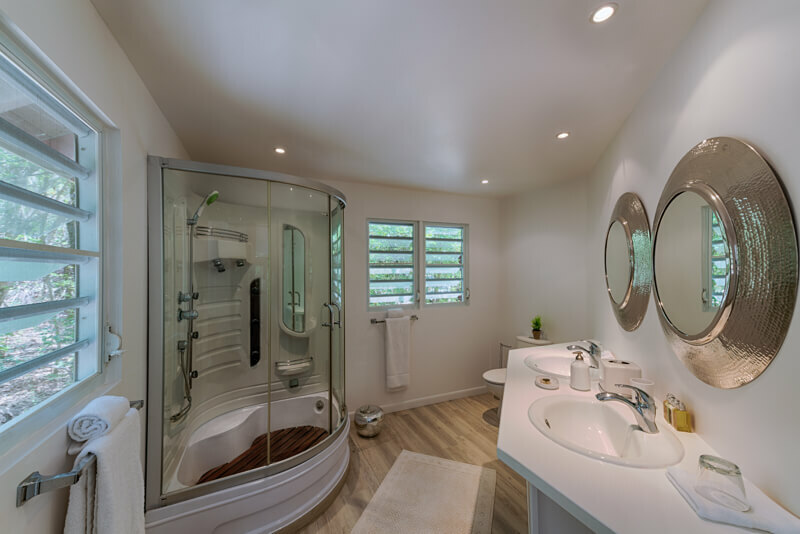 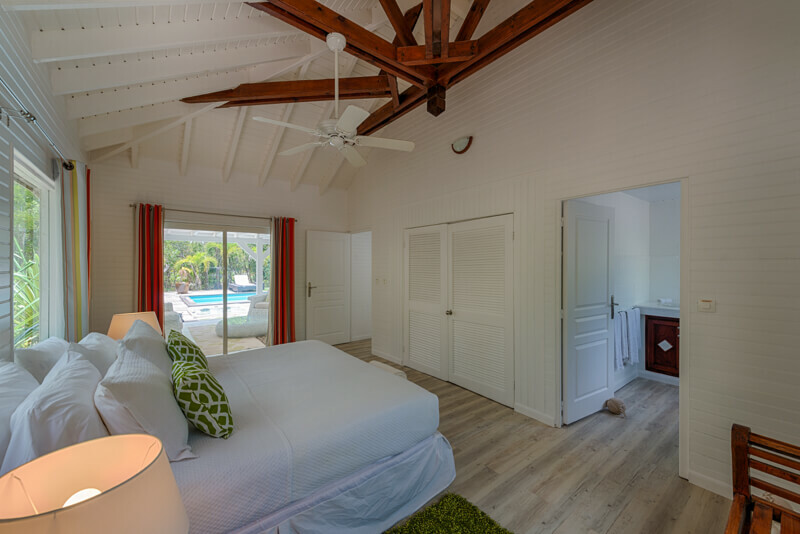 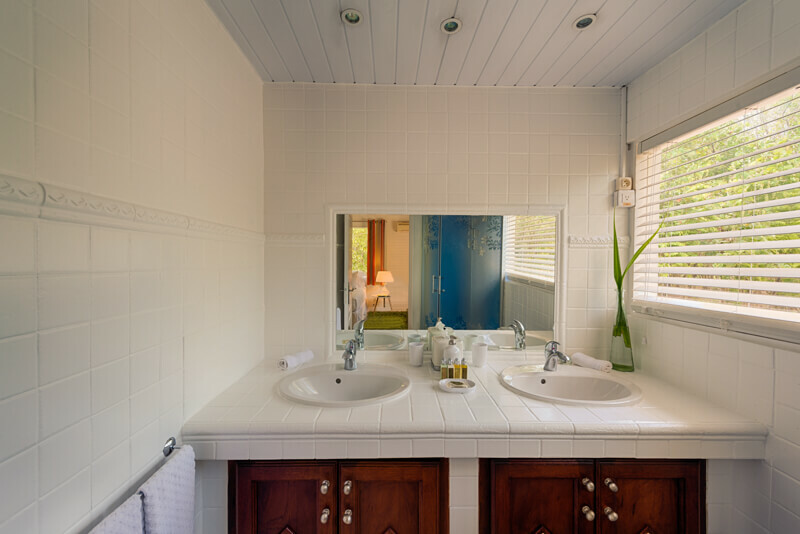 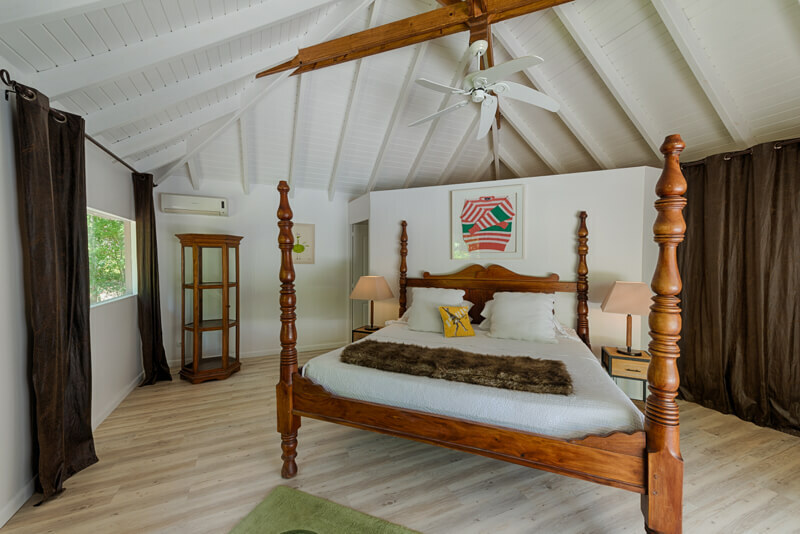 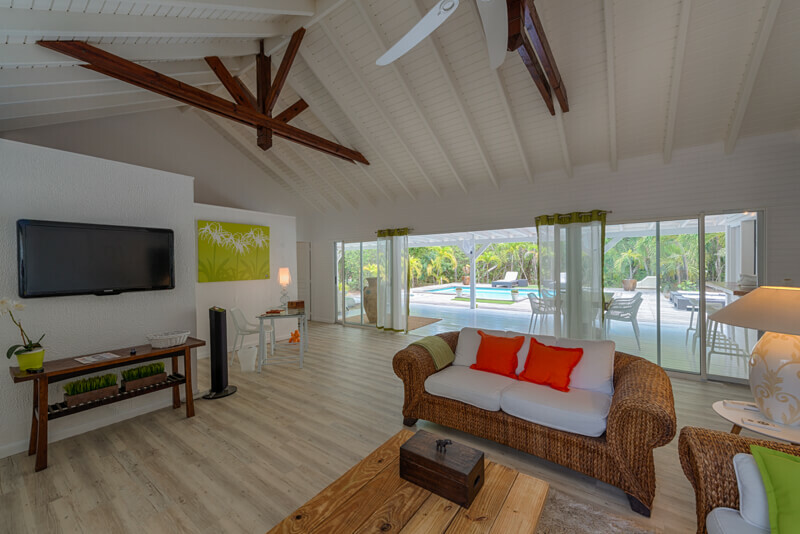 The third bedroom (king bed) and en-suite bathroom are located in a separate bungalow accessible from the pool deck. 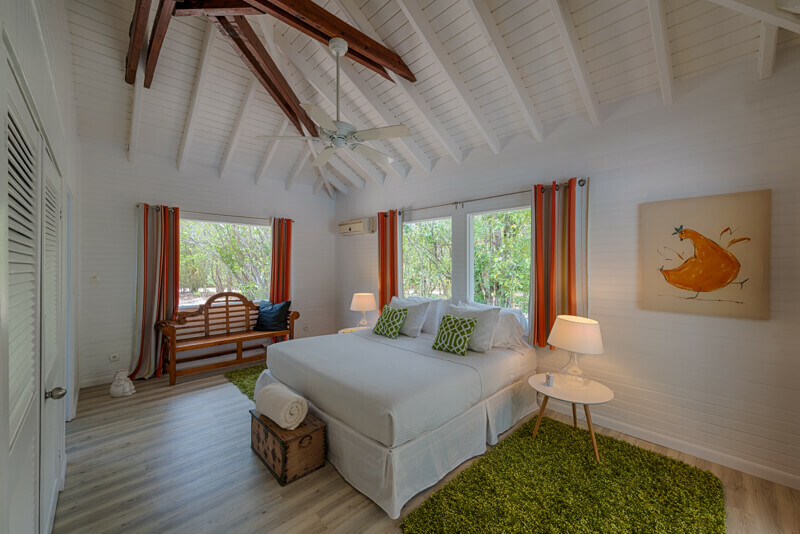 The indoor-outdoor casual feel of Monchal makes it the ideal vacation escape for couples and honeymooners. 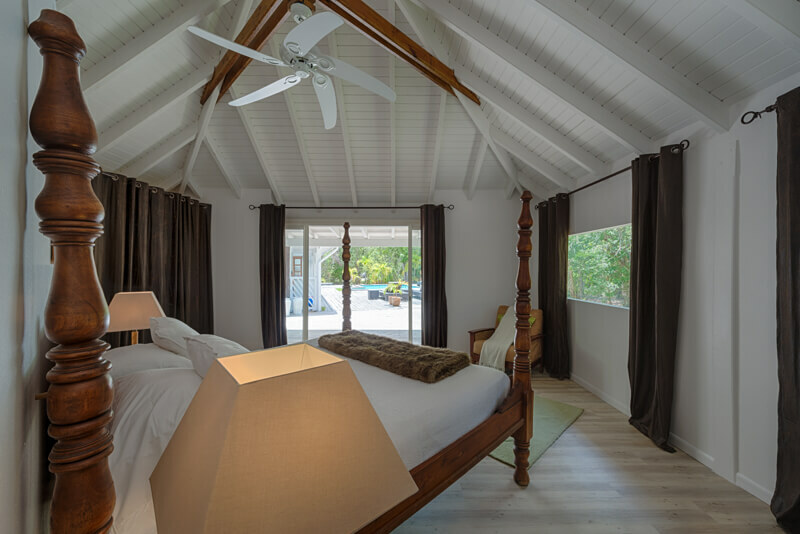 The two bedrooms do have king size beds. 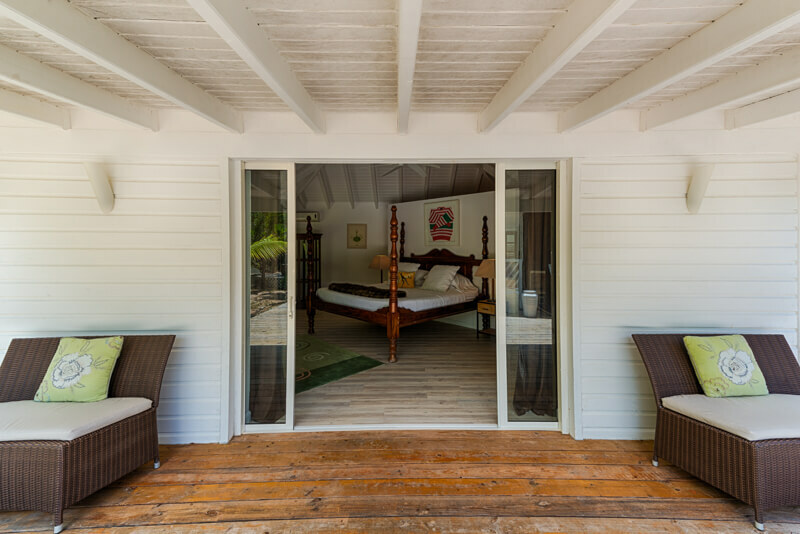 There is also “bonus room” with a full size bed. 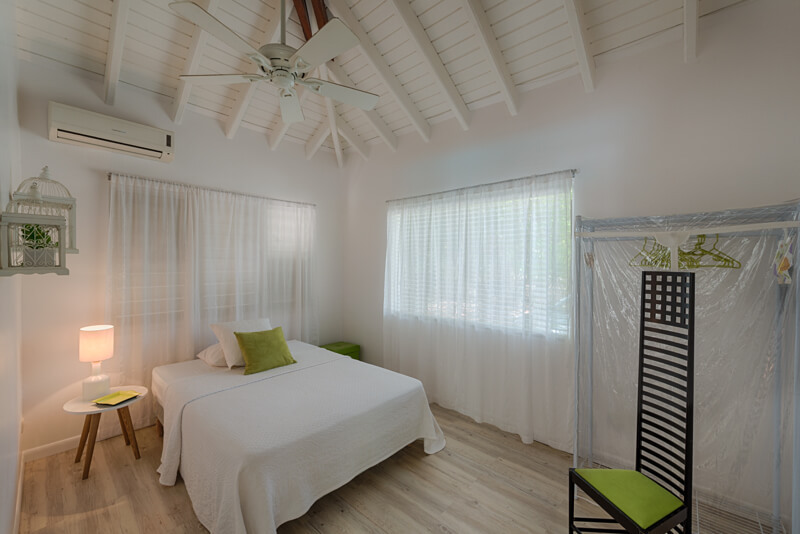 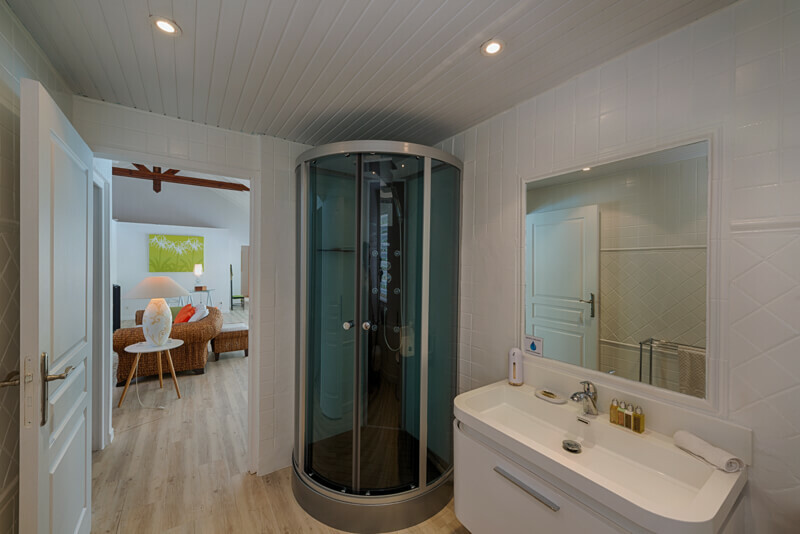 All bedrooms have private bathrooms with showers, air conditioning and ceiling fans, 110V abd hairdryer. 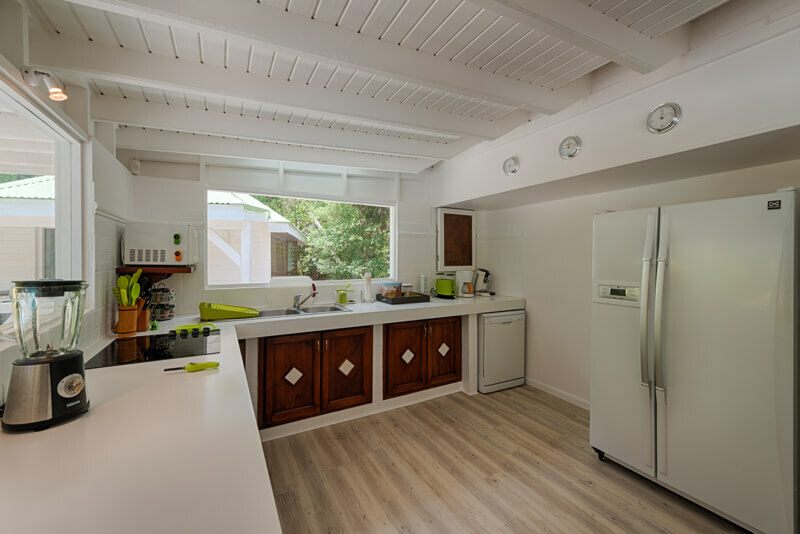 Fully equippped kithcen with electric stove, oven, microwave, refrigerator, freezer, ice Machine, blender, dishwasher, toaster, coffee Maker and B.B.Q. 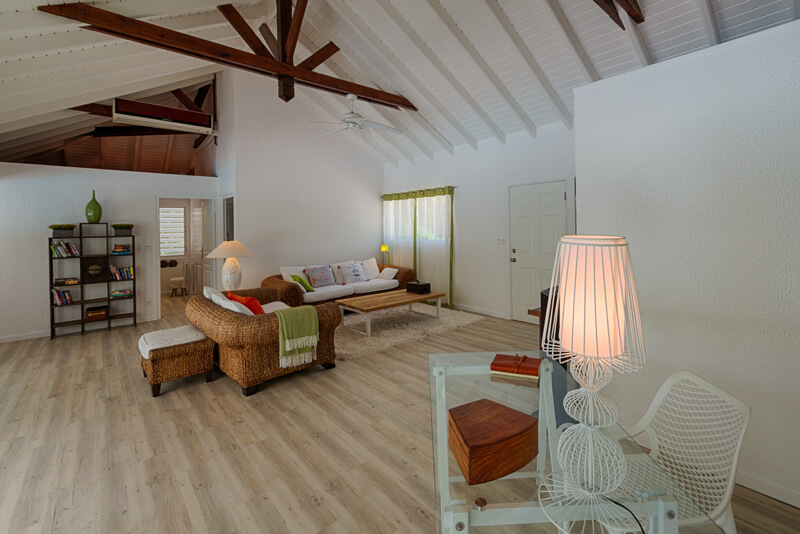 Nicely decorated living room with satelitte TV, DVD, Stereo, CD, Ipod dock, Air Conditioned and Ceiling Fan.